Up-and-coming American media personality, Britt Johnson is obviously doing what she loves to do. Precisely a sportscaster and host, she has endeared herself to many hearts through her outstanding broadcasting talents. Britt is most popular for her hosting role on “The Branded Athlete in Black Hollywood Live” between 2015 and 2016. 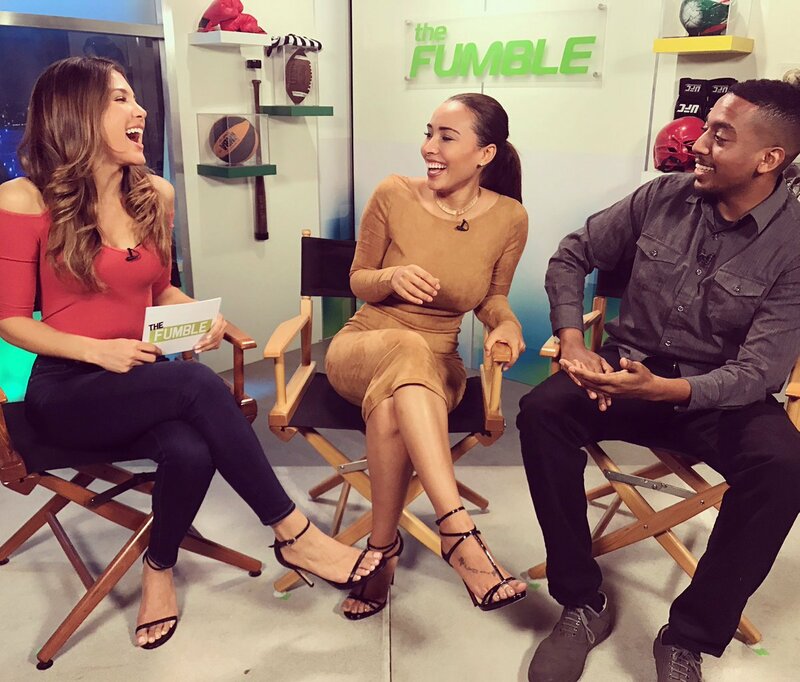 She is currently working as the host of “The Fumble Sports”, a position that has earned her a massive fan base. Since Britt took up that position, her expertise has succeeded in attracting over one million subscribers to the channel. Join us as we take a worthwhile journey through the life of Britt Johnson; from her biography to other interesting facts about her. Britt Johnson was born on 24th February in Fresno, in the San Joaquin Valley of California, United States. Although her birth year is not available, she is believed to be in her early thirties based on estimations. She is of American nationality with mixed ethnicity. Her father is a black American who served in the U.S Army, causing the family to always be on the move. Britt is the eldest of the three children – a boy and two girls. Britt Johnson developed a passion for cheerleading from her childhood. Through her school days, she captained her cheer, track, and dance teams. She, however, shifted her focus to sports reporting after watching a Dallas Cowboys football match. She received the full support of her family to pursue her desired life dream, especially from her mum who unfortunately passed shortly after Britt turned 13. Britt Johnson attended the California State University where she earned a Bachelor’s Degree in Communication (major) and Special Event Planning (minor). Thereafter, she started off her broadcasting/journalism career in 2007 with an internship at KSEE 24 News, an affiliate of NBS. She interned there from September 2007 to May 2008, acquiring various journalism skills, from script production to editing. 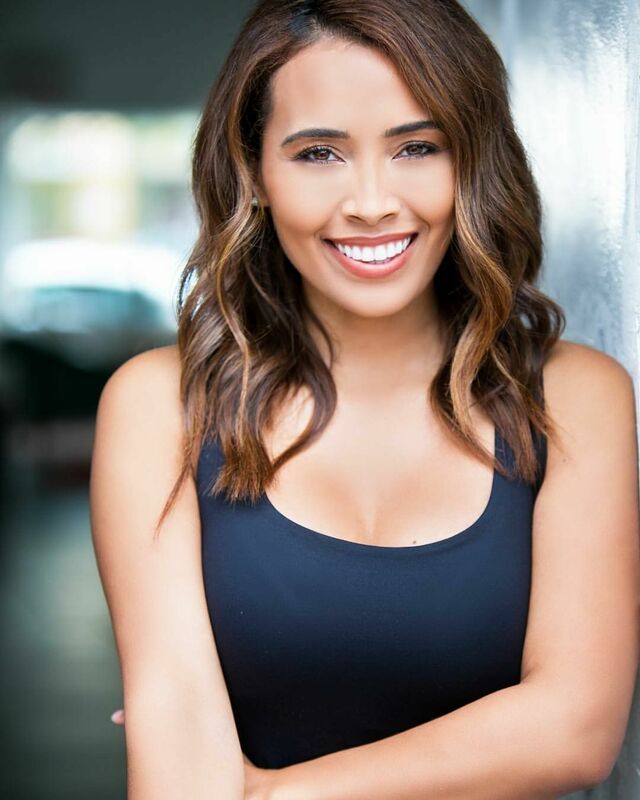 During her stay at KSEE, she also grabbed the opportunity of reporting numerous sports events from the sidelines, an experience that boosted her confidence in the field. In June 2014, Britt got a job on Entertainment Scoop’s “Sports Chick” chat as a Red Carpet Host. In May 2015, she left Entertainment Scoop for City of Torrance where she was employed as a Sports Reporter. September of the same year saw Britt working at Obsev Studios as the host of “The Fumble Sports”. While working at Obsev, Britt was also doing a sideline job as a Weekend Sports Anchor at KLAF and KADN in Louisiana. As earlier mentioned, Britt Johnson lost her mum as a teenager with younger siblings to look after. The tragic event was very devastating but a woman named Ronda Lu McCormick lent them a helping hand. Ronda who is possibly related or somehow linked to her extended family took it upon herself to raise Britt and her siblings. Unfortunately, McCormick died on 7th August 2018 after battling cancer for three years. Apart from her profession in sports broadcasting, Britt Johnson is an advocate of a healthy lifestyle. She is consequently a vegetarian and encourages people to keep fit via her YouTube channel and other available outlets. 3. Is She Single or Married? Johnson is apparently not married. She, however, has not opened up about her relationship status. No one knows if she is in a secret relationship or still searching for the right person. Britt is very active on social media, with her accounts boasting thousands of followers. As of March 2019, she has garnered over 66k followers on Instagram and more than 6k on twitter. She also has a self-titled YouTube channel with close to 35k subscribers. It is in Britt Johnson’s future to-do list to create a broadcasting camp for girls. Her aim is to provide a platform where young girls would be encouraged to discover their voice and public speaking talents. The platform would also help them to develop a positive self-image as well as prepare them for future careers.